It's summer movie time, and that usually means we get to relax and watch the total destruction of everyone and everything. Because we're sick bastards. 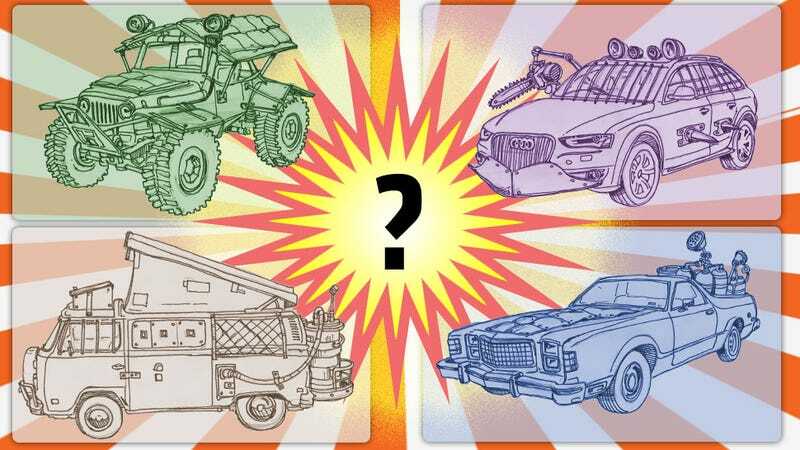 And while it's fun to watch cities get stomped by colossal lizards or overrun with zombies, it begs one important question: if that happened, what would you drive? 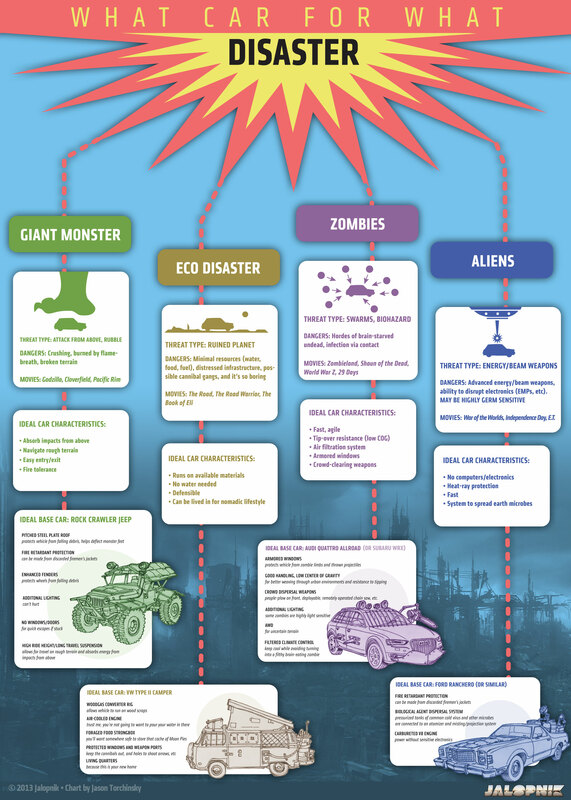 Good disaster movies are, of course, designed to mentally prepare you for the day the pissed-off aliens do land or we finally nuke ourselves. While smarter people than me have explored what these sorts of apocalypses mean for humanity's survival, I just want to focus on what cars would be the most useful in the most common movie disaster scenarios. So, to help us all out, I, of course, enlisted the Jalopnik Mainframe's vast power once again to calculate what cars and what modifications make the most sense. I then took the resulting punch-cards and made this infographic, which I hope you'll find useful. Or, I mean I hope you'll never have to find it useful. Because if you do, we're pretty screwed. Still, enjoy! Click "Expand" to embiggen, or just click here.